12 National Park Mumbai. National Park Near Mumbai. Mumbai offers tourists many outdoor activities to enjoy. There are water and amusement parks, trekking trails, beaches, bird sanctuaries and other outdoor experiences. But one of the best ways to spend a free day is to visit one of the national parks in Mumbai. Within the city and its surroundings, there are national parks that are great for nature lovers and those wanting to learn more about the plant and animal kingdom. Tigers, Indian bison and a variety of local animal species are commonly spotted at these national parks. You will also see migratory birds from other parts of the world from time to time. Here are the top 12 national parks in and around Mumbai that you must. The only national park in Mumbai, the Sanjay Gandhi National Park is frequented by locals who come to enjoy the clean air and greenery. At this national park, there is a trekking trail (Shilonda Trail). There are nature walks and workshops held here as well. Those interested in Indian architecture can visit the Kanheri Caves, located inside the park. If you don’t want to walk up, there is a shuttle that takes you to the caves – a ticket will cost Rs.30 per head. 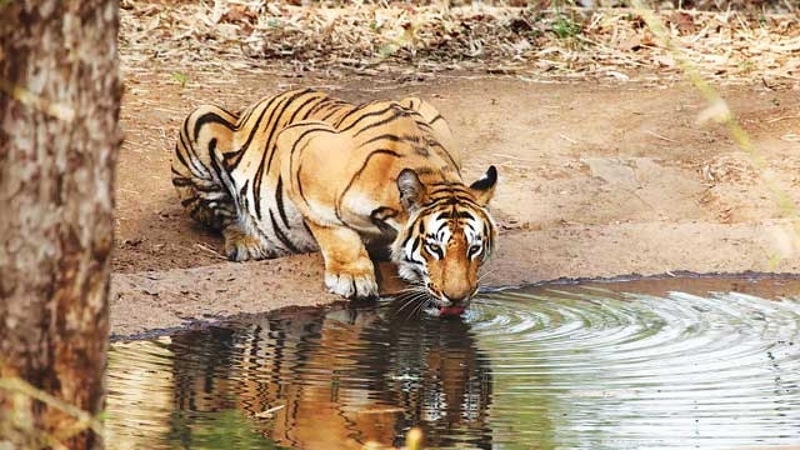 Tiger safari will cost you Rs.60 per person, including jeep hire and tour guide fare. One of the most important bird sanctuaries near Mumbai, Karnala Bird Sanctuary has over 300 species of birds. 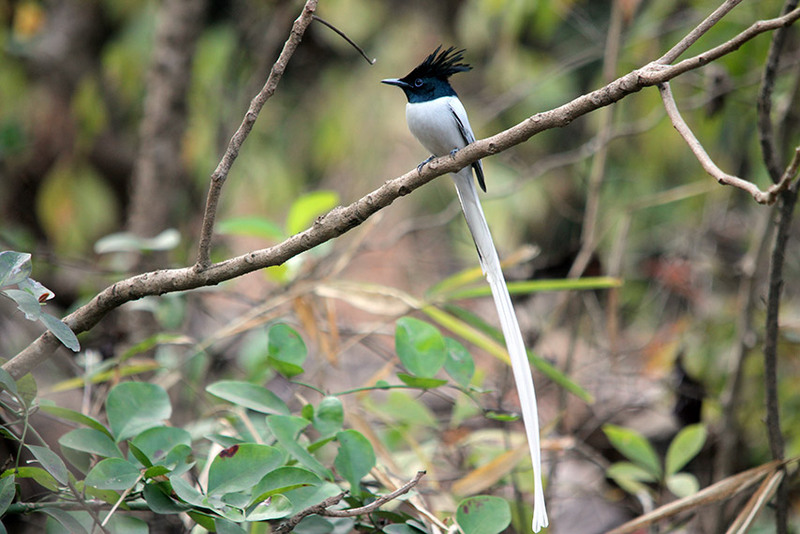 The best time to visit the Karnala Bird Sanctuary is between the months of June and July, when the monsoon begins. If you want to catch the migratory birds, we suggest that you pay a visit in October or in March. Apart from bird watching, at this sanctuary you can also go on nature trails and explore the Karnala Fort. Carrying your camera to the Karnala Bird Sanctuary? Be prepared to shell out Rs. 100. The Bhimashankar Wildlife Sanctuary offers tourists plenty of option to explore nature. 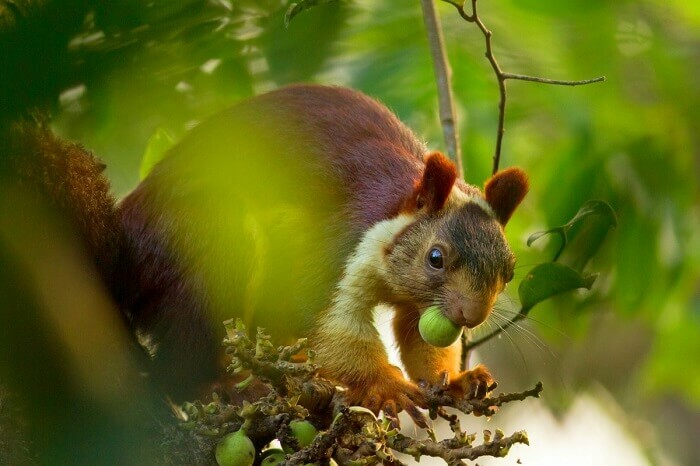 At this park, you can go on a nature trail through lush green forest areas or choose to click pictures of species such as the Indian Giant Squirrel and the various birds. Those who are not keen on walking can take the safari tour that goes around the entire park. Apart from trees and animals, you will find the famous Bhimashankar Temple here. It is believed to be one of the twelve Jyotirlingas (naturally created Shiva temples). The Phansad Wildlife Sanctuary is a coastal woodland ecosystem that is located in Raigad. It is one of the few sanctuaries that is more popular for its birds than its animals. The park is also noted for being one of the only places where over 90 species of butterflies reside. The Indian Giant Squirrel can also be found inside this park. It is very difficult to catch a glimpse of this gorgeous creature as they are swift and shy, so be alert and always be on the lookout and you may get lucky. Located in the heart of the Satara district, the Koyna Wildlife Sanctuary is a must-visit if you love nature and exploring the wild. From sitting by the lake to going on a safari tour to catch glimpses of Sambar Deer and Bengal Tigers, you can do it all at this wildlife park. The peak tourist season at the Koyna Wildlife Sanctuary begins in October and goes on up to January. If you don’t mind the showers, visiting the park during the months of June to September provides you with splendid views of the forest. There are a few home stays and accommodations available near the wildlife park, in case you want to spend a night in Koyna. The Sahyadri Tiger Reserve is the first tiger reserve in Maharashtra. 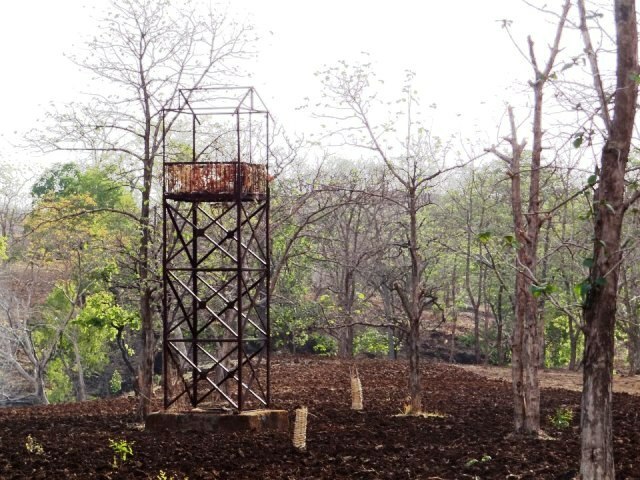 It is located inside the Koyna Wildlife Sanctuary. 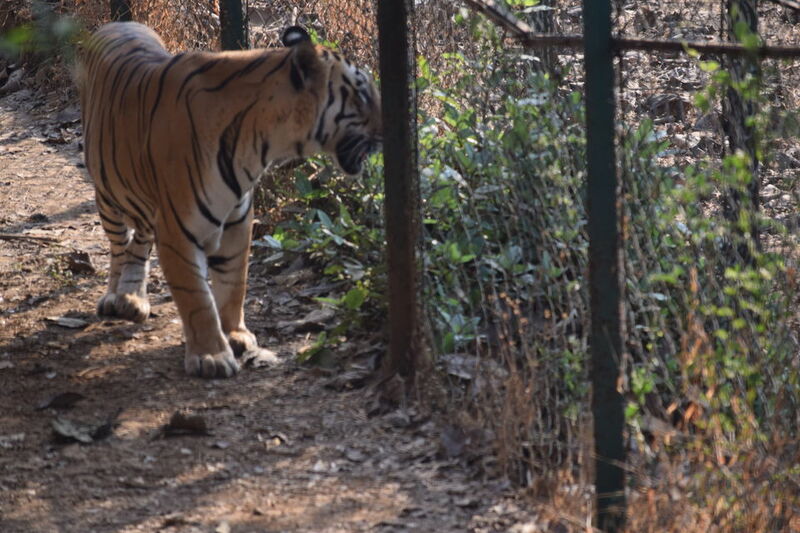 Go here to check out different species of tigers, including the Bengal Tiger. Plant lovers will be thrilled with the variety of giant trees such as harpullia arborea, scolopia crenata and turpinia malabarica; while nature lovers will enjoy the stunning scenic settings in the park. India’s first manmade deer park, the Sagareshwar Deer Park is about a 10-minute drive away from Audumber. At this park you will get to explore a variety of deer species such as Chital, Sambar Deer, Blackbucks and Muntjac. Just next door to the deer park is the Krishna Valley Wine Park that is a great place to learn about how wine is made and, yes, to drink some too. A popular national park in West Maharashtra, the Chandoli National Park is adored by wildlife enthusiasts who visit Maharashtra for its scenic settings and calm surroundings. In this national park you will find about 250 species of mammals, a variety of plants and many birds. You can either book a safari or a go on a bird watching tour at the park. Those interested in exploring the park by foot can take a 2-3 hour trek around the premises for a good bit of exercise and fun. This park is famous for housing the Great Indian Bustard, an endangered bird species. Spread over an acre of land, the park was primarily created to preserve the bird species. Today, it has been turned into a sanctuary where various tours are often conducted. Apart from the Great Indian Bustard, the park is also home to birds such as the Eurasian Collared Dove and the Indian Bushlark. There are a few local animal breeds that can be spotted at the sanctuary too. Some of them are jackal, blackbuck, wolves and a few reptiles. Walk through the evergreen Dajipur Wildlife Sanctuary and you will come across a variety of plants and flora. To see the animals up close, you will have to book a safari ride that leaves from the main gate on an hourly basis. The safari takes you into the forest, where you get a closer look at the wildlife in the park. Apart from observing the animals, you will also get to learn a little about them from your guide. Situated on the banks of the Anner and Manjal rivers, the Yawal Wildlife Sanctuary is spread over an area of about 178 square meters. This wildlife park is home to local species of plants and animals. There is an old forest house that is rented out to anyone looking to stay at the sanctuary. The place has all the facilities for a comfortable, relaxed stay. The Gugamal National Park is situated inside the rugged and hilly part of the Melghat Sanctuary. It is not a very popular tourist spot, but it does have a few animals and plants that are worthy of seeing. Besides sightseeing, you can enjoy treks and spending time by the river bed, relaxing and enjoying nature at its best. The next time you want to get away from the city and spend some time in the great outdoors, we suggest you visit these 12 national parks in Mumbai (and around). At these national parks, you won’t just get to learn about the different species of animals in India, you will also get to spend time in nature’s company, just what is required if you are looking for a break from your busy work life.